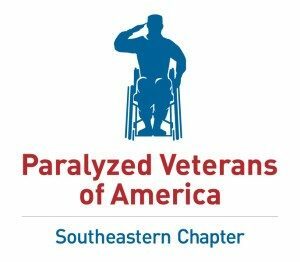 The Southeastern Paralyzed Veterans of America, Inc. (SEPVA) is one of 32 chapters of the Washington D.C. based Paralyzed Veterans of America (PVA). As a Congressionally chartered veterans service organization not an agency of the federal government, the SEPVA has been assisting veterans with spinal cord injuries or disease, to include Multiple Sclerosis and ALS (Amyotrophic Lateral Sclerosis, better known as Lou Gehrig’s Disease) since 1975. Join us in being part of a veterans service organization that continues to work in maximizing the quality of life for it’s members and all people who have spinal cord injury or disease (SCI/D). The Volunteer Program is an important part of our organization, and it would be difficult to exist without our dedicated people. The dedication and hard work of our volunteers enhances the lives of our veterans throughout the Southeast. Volunteers’ commitment to veterans helps to ensure that their service to our country is recognized and appreciated. For more information about volunteering or membership please contact our Chapter office.